WAAS and WUC conducted a webinar on March 9, 2016 in preparation for the upcoming course on Mind, Thinking and Creativity at IUC Dubrovnik on April 12-15. Mind is humanity’s highest developed instrument for seeking knowledge. It is an instrument with remarkable capabilities and characteristic limitations. What we commonly call knowledge consists of word symbols and concepts based on implicit social and psychological constructions and values. As photographs and movies are images of reality rather than reality itself, mind perceives sense impressions, formulates thoughts and utilizes images and symbols to represent a reality it cannot directly grasp. Individuals perceive, interpret and comprehend their experiences as reality at both the personal and societal level. In planning and proposing recipes and blueprints for governance and managing change, decision makers and experts often take little notice of the extent to which prevailing concepts are influenced by the particular way in which individuals, communities, societies and cultures construe what they call reality. Social reality rarely conforms to or even approximates the neat categories, distinctions, differences, oppositions and contradictions by which mind characterizes it in social theory. The insufficiency in our conceptual knowledge of social reality is itself an expression and result of more fundamental limitations in the ways we understand and utilize the human mind and the mental processes on which that knowledge is based. The course on Mind, Thinking and Creativity explored the characteristics of mental knowledge and thought processes, types of thinking, the character of rational thought, the mental and social construction of knowledge, deep thinking, creativity and genius. 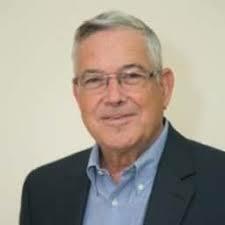 Our guest speaker of the webinar was William Byers, author of Deep Thinking, The Blind Spot and How Mathematicians Think. Byers is a Canadian mathematician who has made important original contributions to our understanding of how the mind thinks, creativity, the process of formulating new conceptual paradigms, limits to rationality, the intrinsic uncertainty of all knowledge, the relative roles of ambiguity, logic and paradox in thinking, and artificial intelligence. In Deep Thinking, Byers explains that there is more than one way to think. Most people are familiar with the systematic, rule-based thinking that one finds in a mathematical proof or a computer program. But such thinking does not produce breakthroughs in mathematics and science nor is it the kind of thinking that results in significant learning. Deep thinking is a different and more basic way of using the mind. It results in the discontinuous “aha!” experience, which is the essence of creativity. It is at the heart of every paradigm shift or reframing of a problematic situation. The identification of deep thinking as the default state of the mind has the potential to reframe our current approach to technological change, education, and the nature of mathematics and science. Deep thinking is the essential ingredient in every significant learning experience, which leads to a new way to think about education. It is also essential to the construction of conceptual systems that are at the heart of mathematics and science, and of the technologies that shape the modern world. Deep thinking can be found whenever one conceptual system morphs into another. "Is the idea that anything can be determined with absolute certainty an illusion? . . . Byers incorporates many brilliant thinkers and seminal scientific breakthroughs into his discussion, offering the cogent, invigorating argument that only by embracing uncertainty can we truly progress." "The myth of absolute predictability has polluted our society and led to a lack of flexibility and imagination. Byers takes on the difficult challenge of formulating a better worldview, in effect a new kind of philosophy of science and mathematics that emphasizes creativity and wonder. He sees more deeply than others into the profoundly and richly ambiguous nature of mathematical and scientific concepts." "This is an extremely ambitious book. In addition to science and mathematics, Byers brings to bear insights from literature, philosophy, religion, history, anthropology, medicine, and psychology. 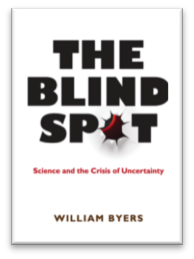 The Blind Spot breaks new ground, and represents a major step forward in the philosophy of science. The book is also a page-turner, which is rare for this topic." "Science deals in certainties, right? 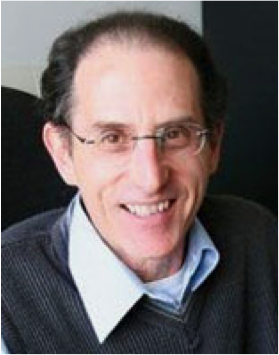 Wrong, says Montreal-based mathematician William Byers. . . . He contends that this view is wide of the mark and dangerous, influenced by the human need for everything to be 'certain'." Neither mathematics nor science deals in permanent and unchanging truth. This blind spot arises out of human consciousness itself, and is rooted in the biology of the brain. Not only were the results of Euclidean geometry thought to be certain, they also seemed to reflect the very structure of physical reality. The deductive axiomatic method that Euclid introduced was the method for arriving at certainty both about the results themselves and about the properties of the natural world. The present world crisis, for that is what it is, will not be resolved by “business as usual,” by applying techniques and strategies that have brought on the situation we are in. The problem here is that the argument is mistakenly about the content of science versus the content of religion. Einstein’s “cosmic religious feeling” is meant to bridge that particular gap—to show that the highest form of religious feeling is to be found in science as well as religion. This intelligence appeared to be independent of the individual personality, independent of anything that is personal. What is exciting and so mysterious is that this “mind …in the world” is reflected in the human mind. 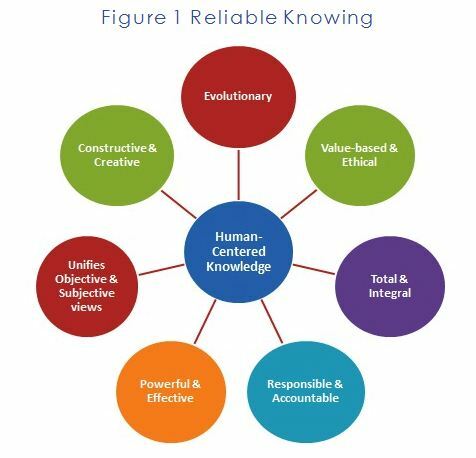 This larger external intelligence is accessible to human intelligence. This is the true mystery of science. Creativity is not the imposition of arbitrary patterns on the world.